When performing blepharoplasty, surgeons make small incisions along the natural eyelid crease in order to improve their shape. And although the intervention is minimal, fresh scars need time to resolve. This process proceeds individually, taking about 10-12 weeks from the day of the operation. The rate of recovery is influenced not only by the regeneration age peculiarities, but also by the location of the incision. In the eyelashes growth zone, the lift surgery wounds are closed faster than in the upper eyelid due to a more active blood supply. 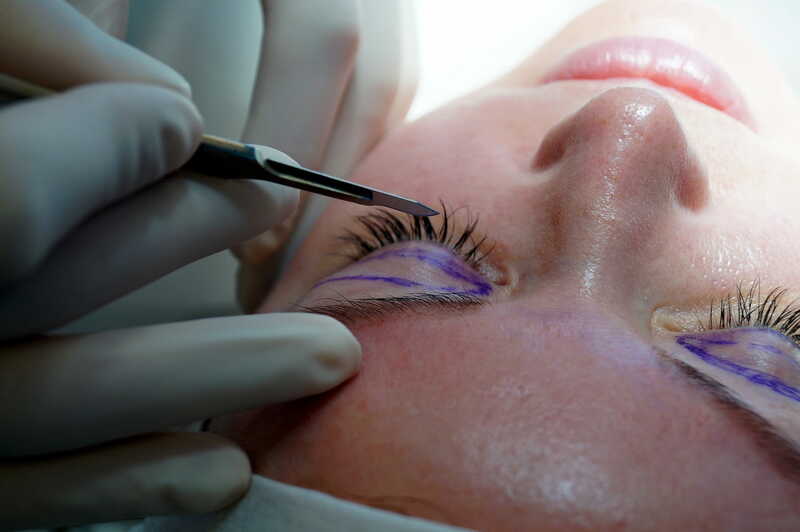 Three months after the plastic surgery, the incision sites are smoothed and brighten, becoming indistinguishable from the rest of the eyelid skin. If the appearance of blepharoplasty scars continues to cause concern in three months after the lift, you should consult a doctor for treatment of undesirable consequences. The only way to avoid scarring after a lower lid lift surgery is to provide transconjunctival access to the tissues during plastic surgery through the eye mucosa. How to prevent the appearance of scars? Non-compliance with medical recommendations in the postoperative period. To sleep on a high pillow. With compliance of all the recommendations, the risk of scarring after blepharoplasty is minimized. If the eye lift did lead to undesirable consequences, the doctor may suggest several options for resolving the problem, including conservative, hardware, and operational techniques. It is possible to accelerate the resolution of scars after blepharoplasty by applying silicone-based ointments and other preparations promoting regeneration. More complicated problem incidents are eliminated surgically, removing the excess of connective tissue formed during healing. Among the hardware techniques in the elimination of the effects of lifting the most effective technique is laser resurfacing. Laser resurfacing helps to remove not only the scars, but also many of the signs of impending aging due to the removal of the skin upper layers and stimulation of tissue regeneration. The Clinic of Plastic Cosmetic Surgery in Poltava has its own patented method of fighting against scars on the eyelids, against the consequences of blepharoplasty, including surgery with cartilage allogenic graft transplantation. Why do indurations appear after blepharoplasty? Chirapsia, stretching, strong massage of the skin in the surgery area can also lead to indurations around the sutures. This is due to the chaotic arrangement of collagen fibers in the young scar, which does not allow the edges of the wound to resist stretching. In order to prevent such a situation, surgeons recommend patients who have resorted to blepharoplasty to apply strip-patches after eye lift and to avoid touching their eyelids for a couple of weeks. Physical impact is accompanied by blood flow and acceleration of collagen production, which prevents resorption of the accumulated connective tissue. If this happens, and instead of a thin scar a few months after blepharoplasty there is a rough, ugly scar formed, you should contact your surgeon. Give up on self-treatment. Fulfillment of medical recommendations is a guarantee of quick healing and resorption of scars. Observing the tissues condition after the lifting, the surgeon can prescribe wound-healing, anti-scar drugs, physiotherapy procedures (irritative current therapy, lymphatic drainage). To speed up the resorption of scars, the doctor may prescribe injections of glucocorticosteroids or topical preparations after healing of the cuts. 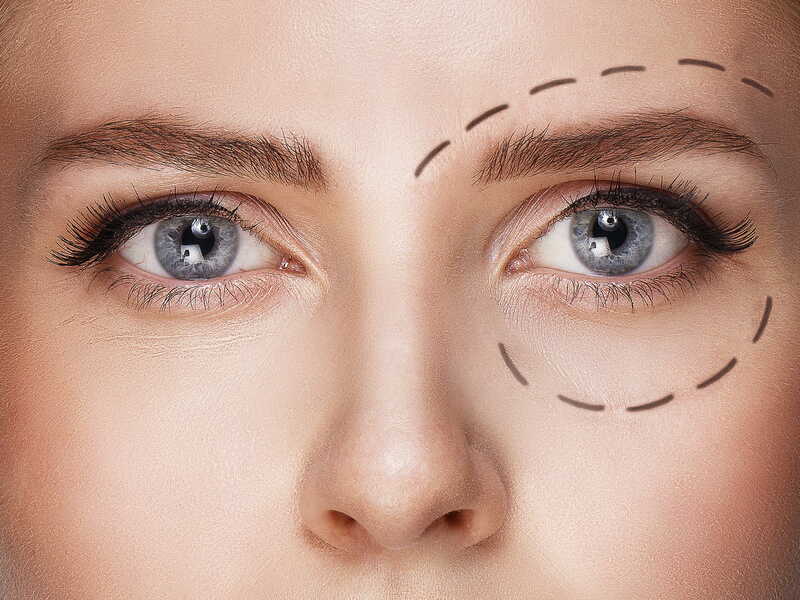 In case of failure of conservative treatment for 2-3 months after eyelid lifting, the doctor may recommend surgery to remove excess connective tissue in the scar. It is worth remembering that the regeneration processes are different in each body, so in some cases the scar healing process after blepharoplasty can take up to six months. surface location of the sutures. The most common cause of the problem after plastic surgery is the superficial sutures arrangement, leading to their partial, rather than complete resorption. For elimination of consequences, it is enough to remove the residual suture from the scar. While preserving the swelling, a careful massage of the eyelids will help to correct the situation; the attending physician will show you the technique of the procedure. And if the problem persists for more than 2.5 months from the day of the lifting, the surgeon can make point cuts in order to remove the remaining sutures from the scar or prescribe injections of preparations for sutures absorption. When correcting the shape of the eyelids with lipofilling along with blepharoplasty, an uneven distribution of adipose tissue or poor treatment of graft can cause the formation of fat indurations. They are especially noticeable under the extremely delicate skin of the lower eyelid. The optimal treatment for each patient is determined by the plastic surgeon. In some cases, blepharoplasty leads to the formation of cysts around the scar. Fluid-filled cavities occur when the edges of the wound are improperly treated because of the immersion of the skin areas into deeper tissues when suturing. The gradual fluid accumulation is accompanied by an increase in the defect in the volume (up to 0.5 cm). The eyelid induration may disappear on its own within 1-3 months after blepharoplasty, but in case of further keeping of its formation, it should be surgically removed. Doctors of the Clinic of Plastic Cosmetic Surgery in Poltava are always ready to help in scars removing or in other eye lift complications eliminating, so that your eyes will soon shine with unbiased joy.